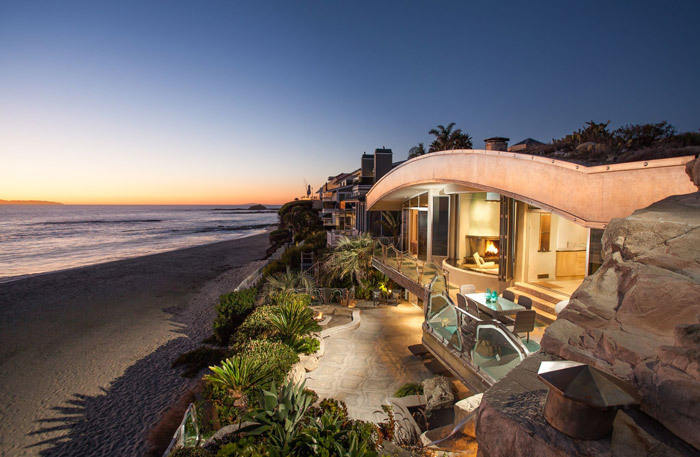 No matter whom the President Of The United States (POTUS) is and no matter what stage we are in of our ever cycling boom and bust economy, buying beach front and high-end California real estate is a good bet. California needs more housing and not enough units are coming online. The lack of inventory is making for rapid equity appreciation of homes, condominiums and multi-family properties and causing rents to sky-rocket. Our smaller markets and rural America are a different story. Unfortunately, these economies are slowly imploding or at best stagnant as our cities grow by leaps and bounds. In spite of many cities having issues with traffic and smog, people are flocking here from all over the world to live the American Dream of home ownership. From 2010 to 2015, my home city of Los Angeles added 157,900 new jobs and grew by 236,318 residents. In 2015 Los Angeles witnessed the largest annual percentage growth in population of any major California city and expanded to over 4 million documented residents. According to the Los Angeles Daily News there is an estimated one million illegal and undocumented residents between Los Angeles and Orange Counties. As a landlord I see who applies for our apartment vacancies and I strongly believe the real number of illegal residents is much higher. The number of housing units added between 2010 and 2015 was 40,014. This equates to one new unit for every 5.9 new residents. In my opinion this is approximately half the amount needed to keep up with demand. The area’s current construction is catering to an upscale to elite clientele because the entry level market and lower income markets aren’t profitable enough for a developer without tax incentives or government grants. Although the greater Los Angeles region is not building enough units the skyline of our downtown area is aloft with construction cranes. Much of this activity is the re-purposing of older office buildings into residential high-end rentals or expensive loft space. Much of the construction funds are coming from overseas. Los Angeles needs more housing and it’s not coming online fast enough and it will never come online fast enough. Los Angeles and Orange Counties California are full speed ahead for population growth. The good news for the elite buyer is speculators are building, renovating and expanding the homes in: Malibu, Beverly Hills, Bel Air, Santa Monica, Holmby Hills, Pacific Palisades, Calabasas, Pales Verdes, Newport Beach, Corona del Mar and other Top Tier neighborhoods where a Cash Buying International Clientele rubs elbows with Hollywood Celebrities. The variety of services and choices of lifestyles available in the greater Los Angeles area are bar none the best in the world. We have everything here. I could be partial because I live here but I honestly believe this. The vastness of the city and the comfort of a usually mild climate are a perfect match. The residents of Los Angeles are surprisingly friendly and accepting. They aren’t building anymore beaches and if you can afford to live on one of them life here is pretty good. David Keith Silverstein is the broker/owner of New Frontier Realty and he works with buyers and sellers of residential and commercial properties in Southern California. As a Realtor he has been in the top 2% of all Realtors nationwide for units sold and commissions earned. He enjoys an international clientele and writes a real estate focused blog at: DavidSilversteinBlog.Com. His company website is NewFronTierRealty.Com. He is passionate about helping his clients invest in real estate and is a landlord. Over his 20-year career he has worked with first time buyers to billion dollar trusts. He has a degree in sociology from Excelsior College with a minor in real estate. He also attended Antioch College. David’s hobbies are: business networking, concerts and special events, political fundraisers, dancing, skiing, exercising, cooking, craft cocktails and meditating.